The Individual Registrant Privacy Option (IRPO) has proved to be a popular service for .nz registrants, with over 22,000 domain names having the privacy option applied. This reflects a significant shift in online spaces more generally, with many users taking a stronger approach to privacy online. In the .nz domain name space, it is critical that we strike the right balance between fostering transparency and accountability, while enabling users to take control of their privacy. The IRPO has been designed to do just that. As a result of the implementation of the General Data Protection Regulation, we have also seen an increase in the use of third-party privacy options and proxy services. These are not permissible under .nz policy. We will be addressing the use of these services by working with the providers offering these. For more information on privacy in the .nz domain name space, check out our joint fact sheet published in collaboration with the Office of the Privacy Commissioner. Information on the Individual Registrant Privacy Option can be found here. 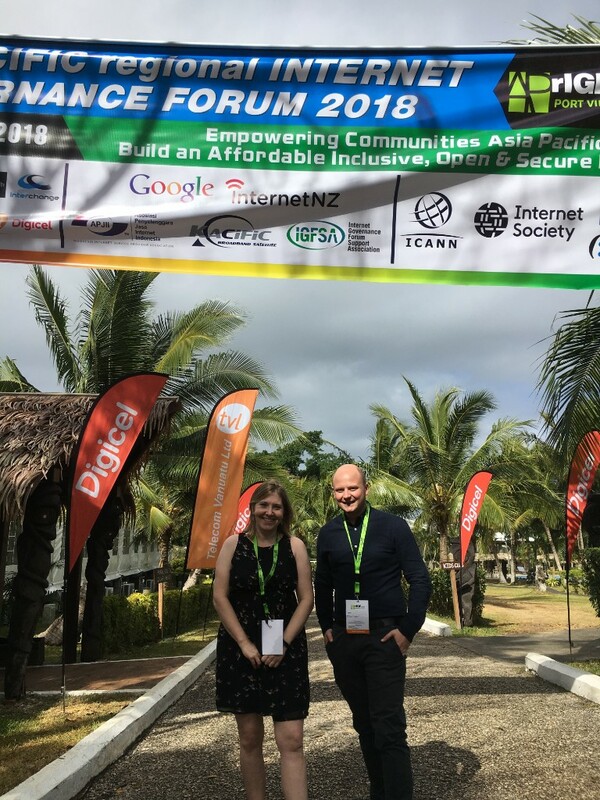 In August the Domain Name Commissioner and InternetNZ staff attended, and presented at, the Asia Pacific Regional Internet Governance Forum in the Pacific. Access and Empowerment – and its importance to connecting small islands and creating critical infrastructure for an open internet. Platforms and Online Abuse – and the importance of transparency around decision-making around content moderation and content removal. Natural disasters – Software platforms to mitigate risks and inform the public in times of danger. Cyber security – and a need for vendors and internet service providers to tackle threats and for consumers across the Pacific to be better educated about cyber risks and threats and how to respond. 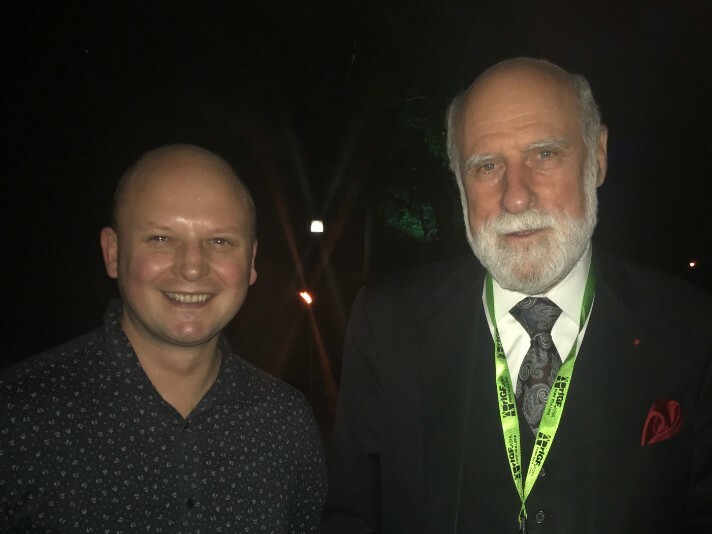 Finally, Vint Cerf, one of the fathers of the Internet, had some things to say about the unfinished business of the internet. Domain Name Commissioner Brent Carey met Vint Cerf while at this event. InternetNZ Policy Director Dr Ellen Strickland and Brent Carey. 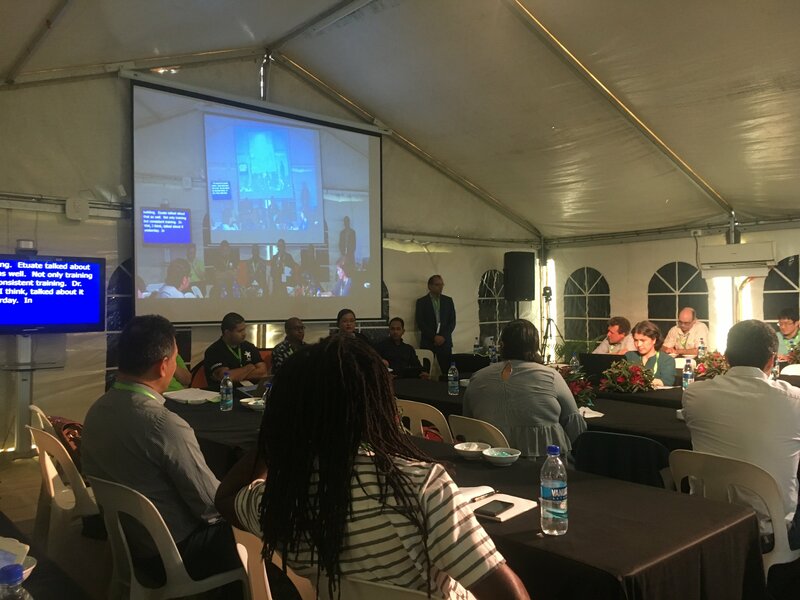 Attendees at the Pacific Internet Governance Forum discuss how to build an affordable, inclusive, open, and secure internet. Minutes for the DNCL’s most recent board meeting were published on our website this month. A few points of note were raised at the meeting, including the increase in the Registrar Advisory Group’s meeting frequency, moving from annually to quarterly. The Board also approved the 2017/18 financials. This month the Registrar Advisory Group, made up of individuals from Registrars, elected by their peers, met to discuss areas of interest to the .nz Registrar community. In addition to the usual topics of compliance activities, policy development and training needs, more time was spent at this meeting on discussing and agreeing to the group’s Terms of Reference and improvements to the Domain Commission’s website. The Domain Name Commission suggested, and the RAG agreed, to add an additional RAG web page to the DNCL website. In addition, the Commission will revamp the current Registrar table on its website and prototype and test new filters on the Registrar table to give consumers a better user experience. This prototype will be shared with the .nz Registrar community for feedback prior to any changes. If you are a .nz authorised Registrar, and would like to be part of the RAG mailing list, please contacts us on registrar@dnc.org.nz to be added to the mailing list. As a part of our continued effort to ensure the .nz domain name space remains trusted and safe, InternetNZ and DNCL will be holding a Domain Name Abuse Forum in November. Through this event we hope to identify the most pressing domain name abuse issues impacting New Zealand, and to dialogue with key stakeholders on the most effective ways of tackling these problems. As well as scoping the issues surrounding domain name abuse, we want to identify any gaps in existing policy framework. We also want to encourage better coordination between stakeholders who have an interest in this area. The forum is going to be held on 27 November 2018 at the James Cook Hotel in Wellington. More details will be published closer to the event date. The always popular NetHui returns for another year, but this time InternetNZ are packing the snacks and cranking the tunes for the 2018 NetHui Roadtrip! The event will be held at three different destinations around New Zealand: Palmerston North, Greymouth and Invercargill. For more details, and to register click here. The National Cyber Policy Office has developed a strawman Cyber Security Strategy. You can view this, and find instructions on how to give feedback here. CIO warns of the dangers of letting old domains lapse. Copyright © 2018 InternetNZ, All rights reserved.